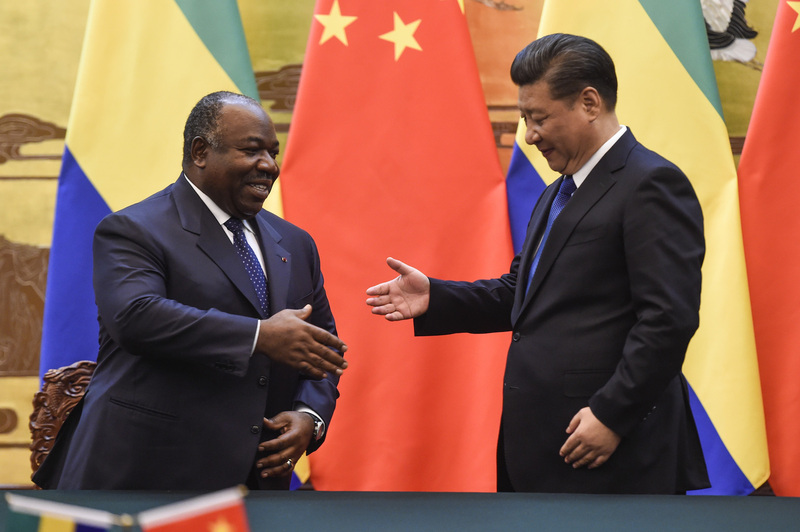 Gabon's President Ali Bongo Ondimba (L) about to shake hands with Chinese President Xi Jinping (R) at an economic contracts signing ceremony at the Great Hall of the People on December 7, 2016 in Beijing. In this episode, international economist Anzetwe Were joins Eric and Cobus from Nairobi to discuss her recent column in Business Daily (Kenya) on how Africa is bracing for a Trump-inspired shift towards to China in response to the new U.S. president's apparent determination to shake up the international order. It’s Anzetse’s perspective that a U.S. retreat from Africa would actually be a relief after more than half a century of condescending moralizing from American and Europeans towards Africa. Will China simply fill the void or present a different engagement model?